Episode 004 PERSONA BITS - Ashley Gavin: "I'm a robot...what am I going to do, knit?" – Let's Talk About Sets! Episode 004 PERSONA BITS - Ashley Gavin: "I'm a robot...what am I going to do, knit?" Ashley Gavin is a robot — a high-energy, high impact, hysterically funny, lesbian robot. 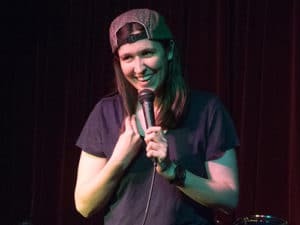 Many of her fantastic jokes hit hard because she’s so good at communicating who she is and what she’s about within seconds of getting on stage, so we dedicated this episode to “Persona Bits”, i.e. jokes that only work once the audience knows the comic (or the comedic persona). Jeff and Harrison hope you love this as much as they loved recording it. You’d better! Ashley Gavin is a New York-based, nationally touring comedian. Her comedy has been featured on FOX, AXS TV, SeeSo, and SiriusXM Comedy. Ashley has headlined at colleges and clubs around the country, including her recent breakout (sold-out) performance at Carolines. 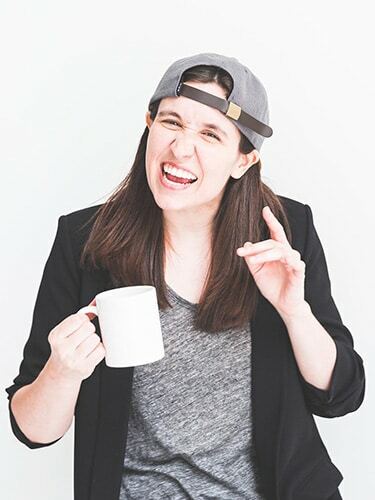 She’s also taken part in some of the most prestigious festivals and showcases including NBC’s Stand Up For Diversity, Comedy Central Comics To Watch, and New York’s Funniest. Special thanks to Wanda Sykes, Patrice O’Neal’s ghost, and (forever) Salt ‘N Peppa for all of our unreservedly fair use.